With the theme of "one future", the World Orchestra Festival aims to provide a platform for young as well as adult musicians to perform, to learn, to communicate, to establish and deepen friendships, regardless of the participants' age, origin, religion and cultural backgrounds. 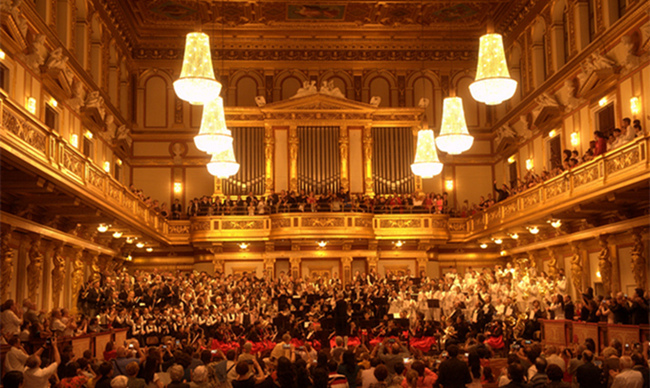 Since its inception in 2013, it has been held for four consecutive years in the world's music capital - Vienna! The Fourth World Orchestra Festival was successfully held from July 28th to July 31st in Vienna, Austria in 2016. Marianne Klicka, the Representive of the City of Vienna, and Prof. Bian Zushan, Vice President of the Artistic Committee of "One Future" - The World Orchestra Festival, and Prof. Herbert Klinger, the artistic director of the Vienna Band Association and artistic director of the Vienna Police attended the opening ceremony and gave their speech. 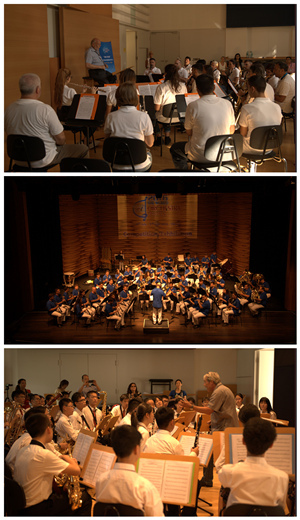 They welcomed the arrival of orchestras from Europe and China and wished them to spend a nice time during the festival. 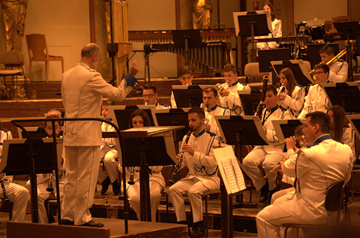 On July 29th and 30th, the workshops and the world orchestra competition were held in the Vienna Boys' Choir Concert Hall and the music art institution - the University of Music and Performing Arts in Vienna with the first-class audio effect. Professor Zehetner, Vice President of Vienna Philharmonic Orchestra, and Prof. Hackl, Professor of the University of Music and Performing Arts in Vienna, and Professor Klinger, Artistic Director of the Vienna Band Association, taught in the workshops. 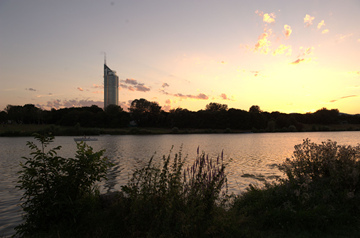 After the master classes and the orchestra competition, a relaxing barbecue party is arranged for the members beside the beautiful Danube River. Members from all over the world gathered together, singing and dancing, and enjoying the joy and ease! 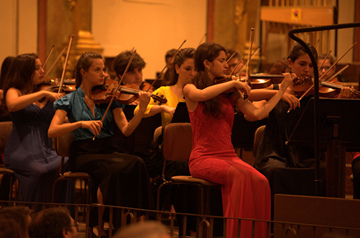 On July 31st, the gala concert was held in the golden hall. Orchestras from Europe and China made wonderful performance in the same stage, including Wind Band “Città di Picciano” from Italy, orchestra dei ragazzi - scuola di musica di fiesole from Italy, Philharmonic Society "Mantzaros" from Greece, Tamburaški orkester KUD Majšperk from Slovenia, Mürzzuschlager Jugendsinfonieorchester from Austria, Trachtenkapelle Rossatz from Austria, Kingfar Harmony Orchestra from Xi'an, China, Beijing Golden Sail fifth high school orchestra, "Sound of Music" Orchestra of Zhengzhou Dongguan Primary School, and Guangdong Experimental High School Orchestra, etc. Back to Corfu trying to find the everyday rhythmus, which is not so easy, because all the people I meet in the street they keep on asking and congratulating . What happened in Vienna it was not only of a local importance, but all Greece celebrate it with us. All newspapers, Radios, TV programs not only local but from all over the country they wanted to hear this amazing success story! Achievement from both sides, from yours and from "Mantzaros" coming back home with 2 awards! Representing in this aspect not only Corfu but the whole Greece! The atmosphere when we came back it was like an Olympic Game winner! I would like to express to you personally, how happy I am, for this is an optimistic massage for everybody, for Vienna and Corfu and on the bottom line for Greece.I can't give you back all the comments from the face book, people have sent. It is emotional just great! This shows how necessary it is to have, as a country in a terrible crisis, a "success story" for this helps the moral of the people!I would like to express the same feelings on behalf of Dr.Trivizas the President of the Philharmonic Society Mantzaros and also from our wonderful awarded Conductor Sokrates Anthis. You have been also very helpful and caring to us. While playing, I can feel that everyone was enjoying music. It was music that gathered our souls together. The people in the concert were all attracted by music. We won the silver prize at last. It was a result by everyone's effort. We were competing with a dozen of orchestras from Greece, Italy, Austria, China and so many other countries on the same stage! Orchestra is not a school activity, but our life. There were trainings, and emotional connection and communication in our lives. There is not competition here, but only cooperation; therefore we do not have gaps in our minds. We become more sensitive and happy with our deep friendship under the influence of music.